Getting ready to do a Reenterant delete to an engine I’m playing with. The piston im working on has an offset bowl with a deep lip. My plan was to cut the lip straight down to the bottom radius of the bowl. Going to chuck it up in a four jaw chuck and center it to the offset bowl then cut the lip off. I’d love to post pictures, but photobucket screwed me and I haven’t taken the time to figure anything else out. I know bowl geometry is a complicated design, so I’m not looking to totally redesign it. I just want to open the bowl up to keep from burning the lip off the piston when we run advanced timing. I wish now I haven't junked 30 sets of stock pistons now lol .. Interesting side note, just torqued the head down. Specs are 80ft lbs then plus 180 degrees if it’s a medium length bolt (different lengths get different degrees). After running them, I set my torque wrench to 150ft lb, and the bolt I tested didn’t even budge. You did good. 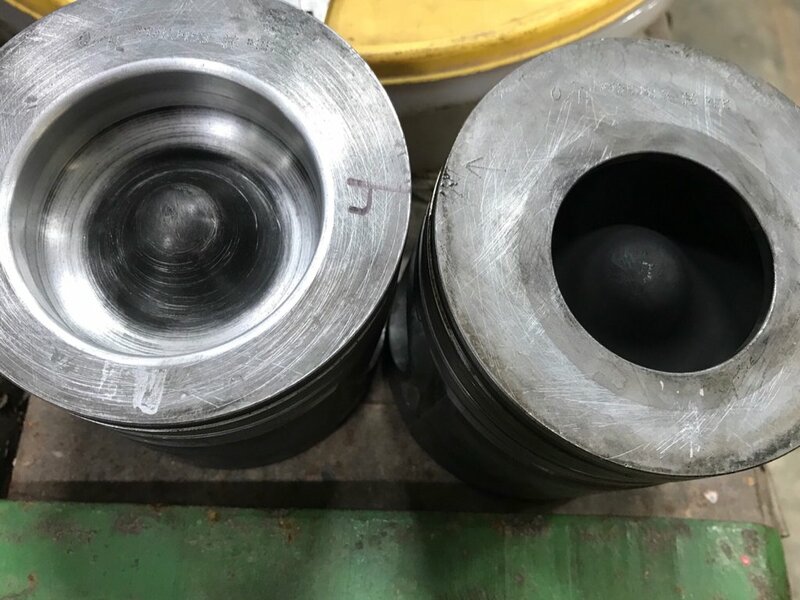 Thats how shops cut Dmax pistons, for the same reasons you did. What size radius did you put on the edge? I like it. I believe when Merchant cut mine, his machinist used a .25" radius. Yours look close to that. I figured it lowered my comp ratio around .5 by doing so, too. Last edited by odieub; 04-23-2018 at 08:31 PM. I’m curious to see how the straight walls change things up.